Don’t you just love getting gifts, or giving them for that matter? What about those gifts that come wrapped oh-so-prettily in a unique way, that you know with just a glance that the giver took such great care in preparing something special for you? Nowadays when a busy life seems to be the norm, the art of giftwrapping is delegated to shopping mall clerks, family members or personal assistants who are good at this sort of thing. But here’s my challenge to you: why not do it yourself? With all the ideas and inspiration floating around in the Internet, I’m sure you’ll find something which you would find beautiful and congruent to your wrapping skill level. Watch the video. Invite your BFFs over for a giftwrapping party. A negative point would be you will have to wrap their gifts when they are not around. Get your wrapping station at home ready. Turn on the Christmas lights, light some candles and have some Christmas music on. Prepare some mocktails and some finger food. 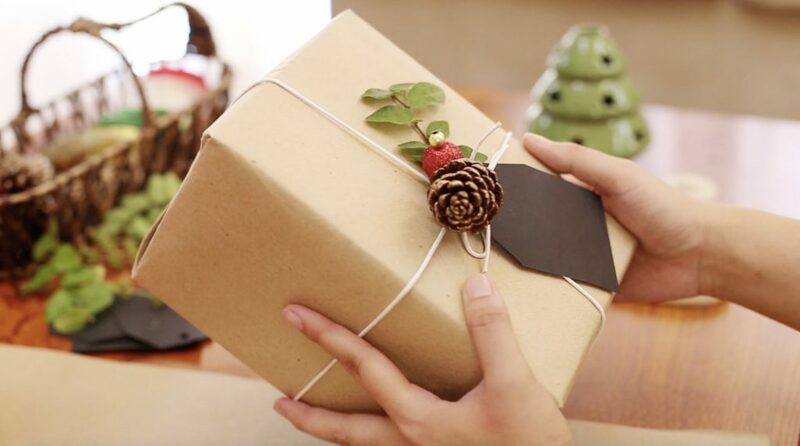 Just like slow cooking, wrapping gifts is an art best done in a mindful, enjoyable way. Treat it like a ritual which can be quite therapeutic. For more Christmas gift wrapping ideas, visit the Martha Stewart site.